Mold development in your residential or commercial building can be very unsettling for any Glassboro, NJ property owner. Mold can rapidly colonize its environment, and it will easily spread and wreak havoc on your property and your family’s health. MasterTech’s team of certified inspectors understand the sense of urgency and the risks involved with mold. This is why, we will always recommend immediate, safe, and effective action when addressing mold concerns. Our priority is returning you and your family to a safe home with restored piece of mind. When it comes to mold, getting it wrong the first time can have serious and costly repercussions for your home and family. That is why at MasterTech Environmental, we are committed to getting the job done right the first time. As proof of our commitment to you and your family’s health and safety, MasterTech includes a 5 year mold-free warranty with every Mold Removal in Gloucester County, NJ. If you are concerned about a developing mold problem in your Glassboro, NJ home or business, you should consider hiring a trustworthy mold professional to complete a Glassboro, NJ mold inspection. MasterTech’s certified inspectors are fully trained and certified to properly diagnose and effectively rectify any mold problem with the most appropriate tools and techniques. 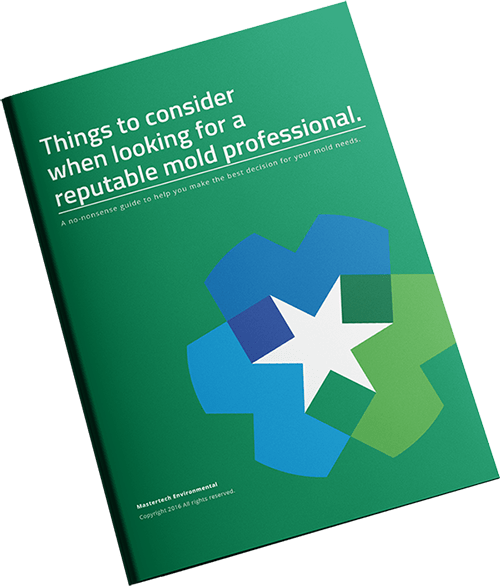 After completing a comprehensive mold inspection, your certified mold inspector will be able to draft a full report or you. The report will be a compilation of all information gathered from the inspection in a clear, easy-to-read document for for your records. Upon request, your inspector will compose a detailed scope of work most appropriate for your specific mold case. Mastertech provides top-notch mold removal in Glassboro, NJ. Our team of industry trained and certified experts have taken years of experience and research to strategically develop the safest and most effective mold removal process available today. We have integrated the safest and most up-to-date mold removal technologies to ensure the highest quality mold remediation for your Glassboro, NJ home or business. Causation: In order to ensure the continued success of a mold cleanup, the source of issue must be resolved. Typically, at the end of a long moldy trail, there is a significant water source promoting the mold activity. Before moving forward with remediation, your MasterTech inspector with complete a comprehensive assessment of affected areas and all surrounding areas. Your inspector will use moisture meters and thermal imaging cameras to track water migration and mold development patterns to isolate the potential moisture source. Your mold removal team will take a closer look at the time of remediation to confirm potential moisture sources. Containment: Before beginning any work, it is important to carefully protect the unaffected areas. With all the activity and disturbance during remediation, mold spores can become airborne. Airborne spores can spread and contaminate previously clean, unaffected surfaces. Airborne spores can also affect your indoor air quality if your remediation team is not careful. Our certified mold remediation technicians are fully trained to properly isolate all work areas with the appropriate critical containment chambers with HEPA-filtered, negative air pressure. Each MasterTech mold remediation in Glassboro, NJ is backed by a 5-year, mold-free warranty. No only is the mold removed, but we have taken precautions to prevent its regrowth. Our priority is that we did the job right for you and your family the first time. Unlike most other service industries, a mold remediation done wrong can affect your family’s health and cause expensive property damage. When it comes to you and your family’s health and safety, the job needs to be done right the first time. It is important that you take the time to thoroughly research your options. You want to be sure to hire the right New Jersey mold removal company that priorities you and your family’s health, safety, and best interest. For mold removal and mold inspection Wenonah, NJ or mold inspection and mold removal Elk, NJ call 609-948-8844 to speak with a member of our team.